One of the biggest complaints about the iPad has been the fact that its screen is an LCD, making it impossible to use in direct sunlight. This has been a popular point now for companies such as Amazon to poke fun at by showing how the Kindle e-reader can be used anywhere. With the iPad 2 expected to be released in April 2011, many people had hoped that we would see Apple changing to an AMOLED screen, but that does not seem to be the case. According to a report from the infamous DigiTimes, Apple has placed an order with Coretronic for BLUs (back light units). The company is declining to comment at this time, but that is not unusual when it comes to Apple component suppliers. If true, this means that Apple is sticking with LCD for the second generation iPad as none of the other rumored screen types require a back light unit. This will come as a disappointment to many as the screen was seen as one of the weakest points in the first generation iPad. (note I said “one of” as I’m sure there will be a laundry list of other issues with the device in the comments if I don’t point that out) This doesn’t mean that the resolution won’t be upped in the second generation, but it sure is going to leave some of those consumers who held out for a second generation iPad disappointed. This latest rumor also points to Apple beginning to take delivery of iPad 2 units in the first quarter of 2011 so that they can have supply built up for an early April release. 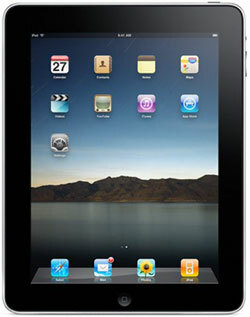 It is definitely looking like we are under the five month mark for a new iPad to hit the market. What say you? 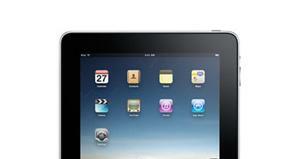 Are you disappointed it looks like Apple will stick with an LCD screen for the iPad 2?